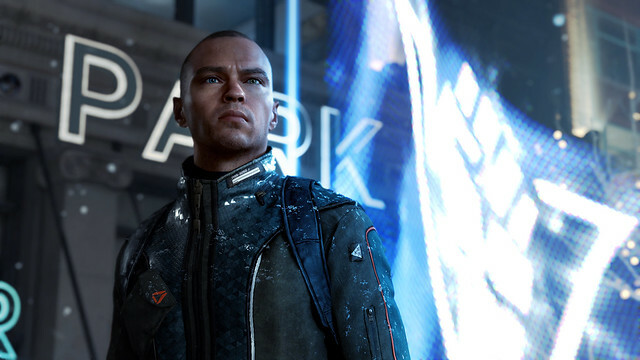 Quantic Dream's most ambitious project yet gets a release date. 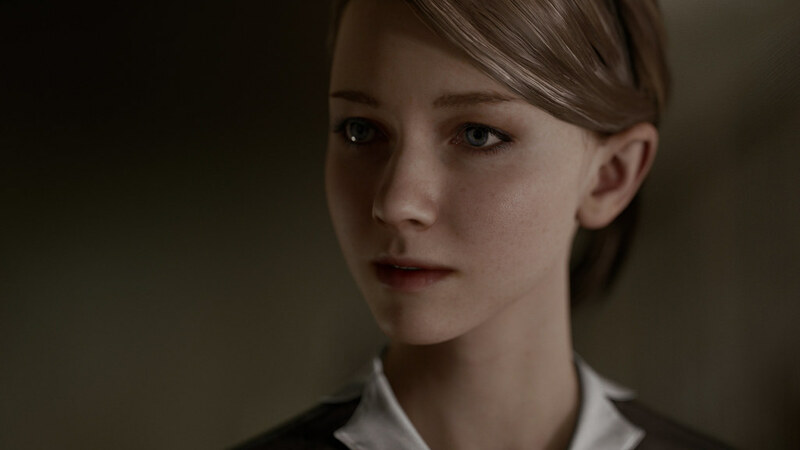 We are proud to announce that Detroit: Become Human now has an official release date: on May 25th, you will finally have the chance to get your hands on Quantic Dream’s most ambitious title to date. In a dystopian vision of our near future, Detroit is the story of three androids, three machines designed to obey, who start to feel emotions. Confronted with persecution and the violence of society, they will all have to decide who they want to be. The player will control all three in turn, taking control of their destinies, and telling not only their individual stories, but also the story of their people and of their world. 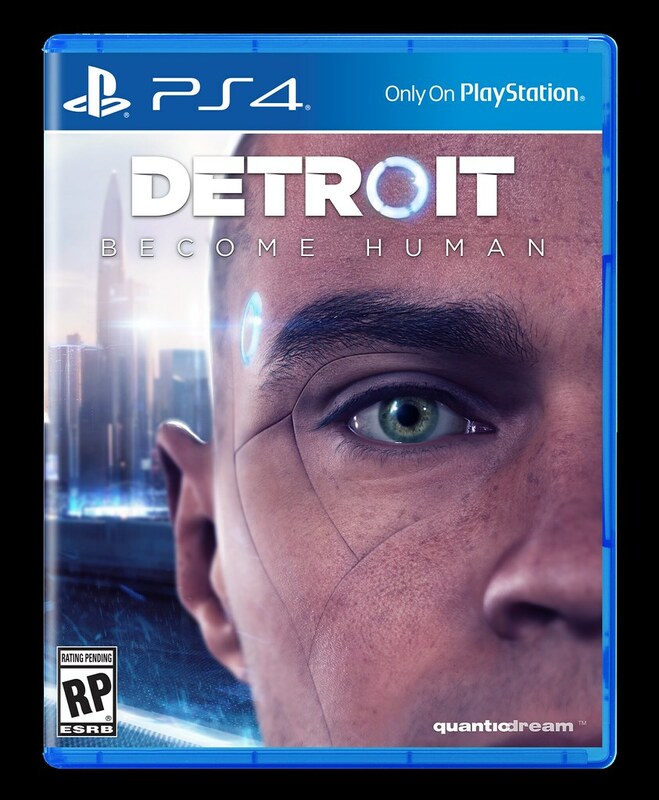 Detroit is by far the most ambitious title ever created by Quantic Dream; with this game, we wanted to push our limits by creating the most bending game we have ever made. Your actions have real and spectacular consequences: there are entire scenes that you can see or miss based on your actions, your closest allies may help you until the end or die just after you meet them, your destiny itself can be totally different depending on your choices. You must also be very careful with your three main characters, because any of them may die at any time. Each story is almost as unique as your DNA: it is the result of the choices you made, the minor ones and the important ones, because in Detroit, all choices matter. You will need to observe, think, decide, feel, follow your intuition or your heart, to tell the unique stories of each character, and their stories will become your personal story. Detroit explores many complex themes that resonate with today’s world. Of course, it is about AI and the role of technology, but it is also more than anything about us, about our society, our dreams, our mistakes, our hopes. It is about what it means to be human: is it just about having flesh and bones, or does it mean more than that? We hope that it sparks some meaningful conversations and we’re looking forward to hearing what you think about it. In order to depict the world of Detroit, we have also developed the most spectacular 3D engine we have ever created. We tried to push the limits of the PS4 as far as we could, with hundreds of highly realistic characters, full performance capture, scenes featuring crowds, all with a level of quality that we had never reached before. We have also imagined a new way of playing a story where you are in direct control of a complex story where any of your choices may have consequences. 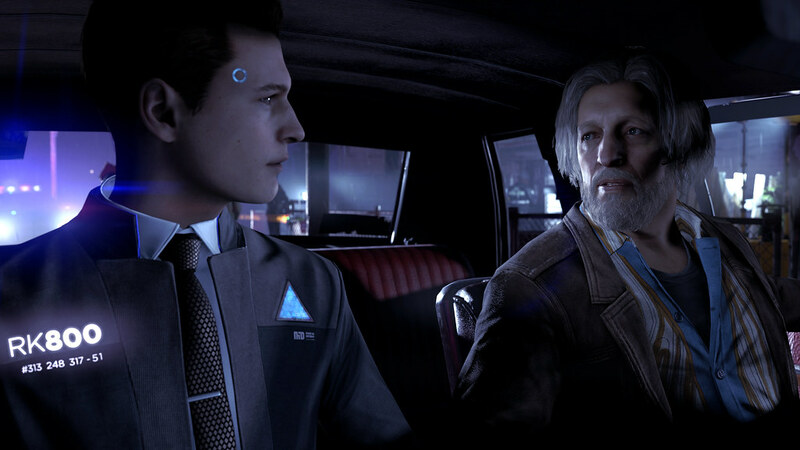 With Detroit, Quantic Dream presents its most accomplished experience, a spectacular and unexpected journey full of emotions, twists and turns, dangers and hope, in the most bending story we have ever created – where every choice matters. Comes out a week after my birthday I’m ready for this. Day one buy for me. Game looks absolutely amazing! Very excited for this. A great early birth gift! Gives me plenty of time to finish God of War then on to this one. Been waiting a long time for this one. This game looks gorgeous. I hope to see a sale on Heavy Rain/Beyond (PS4) on PSN soon now. Still need to scoop those versions up. Download Indigo Prophecy while you’re at it. Yeah I also have the Heavy Rain/Beyond Two Souls disc as well via amazon, but I’m an old school hard copy kind of guy. But yeah I’m waiting for the Indigo Prophecy PS2 Classic to go on sale, its been on my wishlist forever now. I do have it on my old XBox, bought the game for $20 on amazon couple years ago, but I’d love to play it on PS4! I hope we get another first print edition like we got for the PS3 version of Beyond Two Souls! No Collectors or Special edition? I have a request to make if possible, would it be possible to add an option to remove or replace the motion controls in the game? As a disabled gamer I struggled with heavy rain but I REALLY want to enjoy this game. Looking forward to it! Can’t wait but that cover art isn’t working in my opinion, hopefully it changes or it’s reversible. Yes, I also agree. Please change that cover. Kara should be on it, no? I’m totally with you. This game will be a masterpiece and artistic achievement no doubt, but yeah that cover art is not the best. Hopefully a special/limited edition will have different box art, although for the digital presence, hopefully the square icon on the home screen is completely different as well. So it’s not just me who was disapointed with the cover art. Even that screenshot of Kara that most retailers showed online would’ve been an okay cover for the game, but I do feel they can do better. Really thought I was the only one who really didn’t liked the cover.Poor choice…they chose the worst of the 3 characters to be on the cover.If you play with the 3 then the 3 should be in the cover.Hope its reversible too. 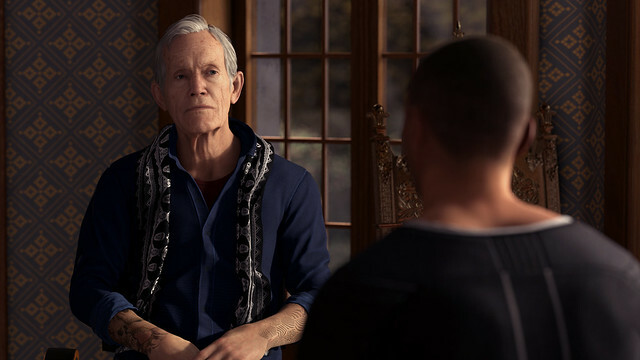 One of the pictures looks like Lance Henriksen is in the game. What is the price of this game? One day after Persona 5 Dancing Star Night and Persona 3 Dancing Moon light release in Japan. Works out pretty well, since those games will probably take 3 days to arrive from Japan. Been waiting to see Kara in a game for quite some years. Very excited for another Quantic game. Friday release day? And on Towel Day no less. This should be good! This game is gonna be a masterpiece! keep it up SIE. Please give us another cover with kara or connor, or at least a better steelbook cover. Oh yeah, also please make a steelbook + artbook edition for this game like horizon zero dawn or uncharted 4. Well I was already all-in on this, but add in Lance Henriksen — one of my favorite actors of all-time — and it just gets better and better! Please for the love of all that is PlayStation, don’t let that be the final box art. Woohoo! I’ll be there Day one :) Is that Lance Henriksen? Cannot wait! Can’t wait; it’s gonna be fantastic! If this had a special edition PS4, I’d finally get one. As it is, it’s still my system seller. If it has a steel-book, it might just sit on a shelf until I get the PS4 to go with it. Yes, I’m late to the party but I was late to PS3 and my backlog is big; this is the game that will make, my lack of a PS4, really start to hurt. 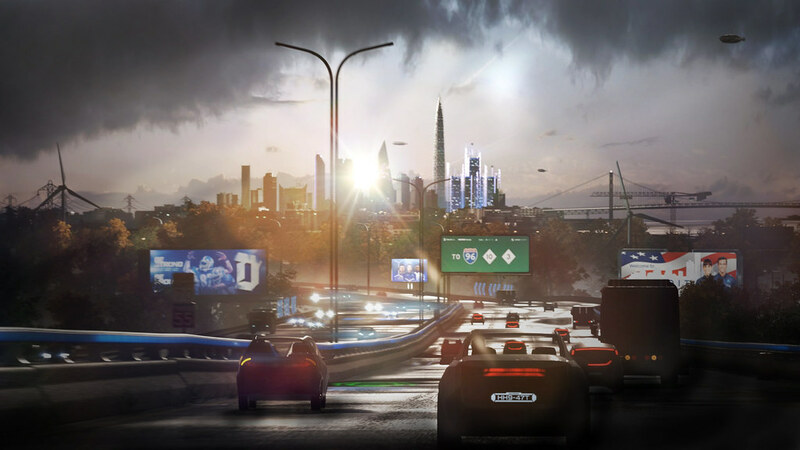 Detroit you have to add dynamic weather controls also. 60 degrees then 5inches of snow next day. Our future should still have pot holes on the streets also!!!!! This is a day one buy for sure!, can’t wait to get my hands on this piece of art!! Thanks PlayStation, always with the greatest exclusives! Glad there’s finally a date for this title! Looking forward to this! Pre-Ordered and so ready for this kudos guys !!! Any news on a collector’s edition? Any info if there will be german Audio? why not? every quantic dream game has german audio so probably yes. Time to go pre-order from the PS Store. Look forward to enjoying your work. Thank You. Very very very excited for this game! I pre-ordered one year ago through Amazon. Any word on a Collectors Edition? You don’t need to go into the near future to find a dystopian Detroit: it’s dystopian now. Looking forward to the game. Is Lance Henriksen in Detroit BH? Because that shot of the guy with grey hair leaning up against the wall really looks like Lance Henriksen. …Er standing in front of a doorway with glass panels… that’s Bishop right?? Anyway it’s not on Mr. Henriksen’s filmography (yet) on IMDB but according to a not so vague tweet from someone at Quantic Dream just yesterday, yeah that’s him! 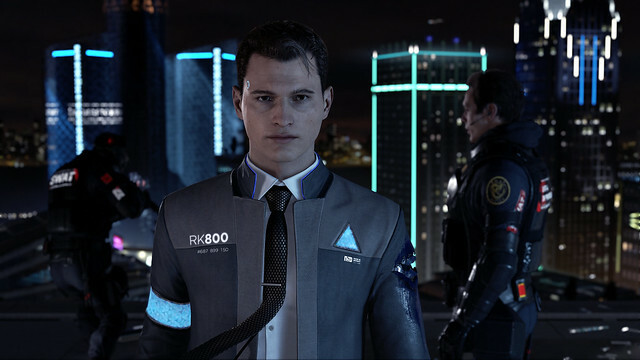 Well it’s about time they finally announce the release date for Detroit Become Human I was starting to think this game has entered development hell or something.Because I thought it would come out in 2015 then 2016 and then again last year.And I’m even wondering when Death Stranding,Days Gone,and The Last Of Us part 2 come out? Gonna be pre-ordering this real soon. Can’t wait! Oh I really forgot about the possibility of Detroit releasing this year.I’m still very late since I still need to play Beyond but I’m lookin forward to play Detroit…lookin forward to see Kara’s story and by the looks it’ll be really nice to play with Connor too.Good job as always Quantic Dream…not buying it on launch but it was a confirmed buy for me since the announcement. PS:Please change that cover or make a reversible one…please. Days Gone probably fall this year,TLoU 2 in 2019 or 2020 and Kojima said Death Stranding will release before the Japan Olympics so somewhere around 2019 and mid 2020 lol. Oh…this was meant to be a reply to AAIG1995 . Awesome! Comes out 2 months and 1 day after my birthday…So hyped for this!